Just in time for St. Patrick’s Day I offer my mom’s Irish Soda Bread recipe… again. Enjoy! 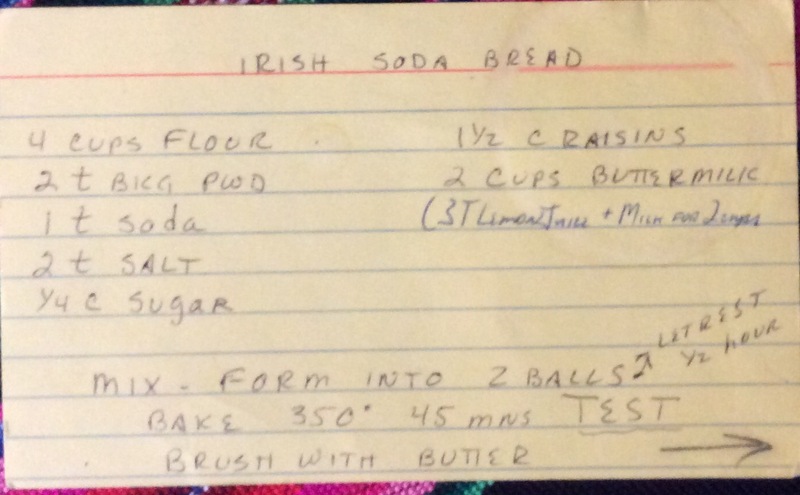 This entry was posted in Education, Poetry, Reading, recipes, Writing and tagged bread, Enjoy, Irish, Irish Soda Bread, mom, recipe, Soda, St. Patrick's Day. Bookmark the permalink. You can substitute plain yogurt for the buttermilk if you are living in Lima!